Postbariatric care too often falls short in emphasizing the importance of exercise, not only to boost and maintain weight loss but to potentially improve knee health. Bariatric surgery can certainly help with weight loss, but does that weight loss render any positive changes in the knee mechanics and knee OA symptoms? And does bariatric surgery improve total knee arthroplasty (TKA) outcomes in obese patients with end-stage knee OA? “There’s about a one-to-four relationship—for every one pound you gain, you put about four pounds of stress on the knee. Now the reverse is that, for every pound you take off, you lose four pounds of stress on the knee,”6 explained Stephen P. Messier, PhD, director of the J.B. Snow Biomechanics Laboratory and of the Wake Forest University Runners’ Clinic at Wake Forest University in Winston-Salem, NC, who has coauthored numerous studies on the effects of weight loss interventions (diet and exercise) on knee OA symptoms. The anticipated decrease in stress on the knee—and the decrease in knee pain that typically results—is a great motivator for weight loss, Messier said. “I wish my [financial] investments had that kind of return,” he joked. Determining if that weight loss will also pay off in regard to TKA, however, is not as simple. Research has shown that obese patients who undergo TKA can have higher complication rates compared with normal-weight patients for several reasons, including technical challenges during the procedure, comorbidities (such as type 2 dia­betes or vascular disease), or even changes in activity levels (see “TKA in obese patients: Weighing the risks vs the benefits,” February 2014, page 16). But studies of the timing of TKA relative to bariatric surgery have had mixed results, underscoring the complexity of the factors involved. 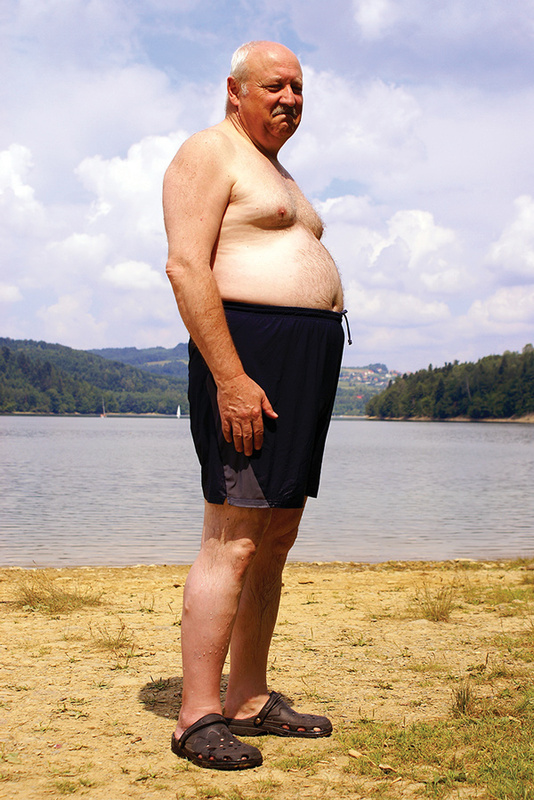 The hazards of excess weight seem to take place on two levels. First, there’s the mechanical component. There’s also an inflammatory component, noted Michael H. Parks, MD, a physician at the Hospital for Special Surgery in New York, NY, and a spokesperson for the American Academy of Ortho­paedic Surgeons. “Just as heart disease and obesity are linked by inflammation of the vessels…there’s an inflammation that leads to degradation of the cartilage and OA,” he said. While obese patients are at a much higher risk for developing knee OA,7,8 not all of them do, Parks cautioned. 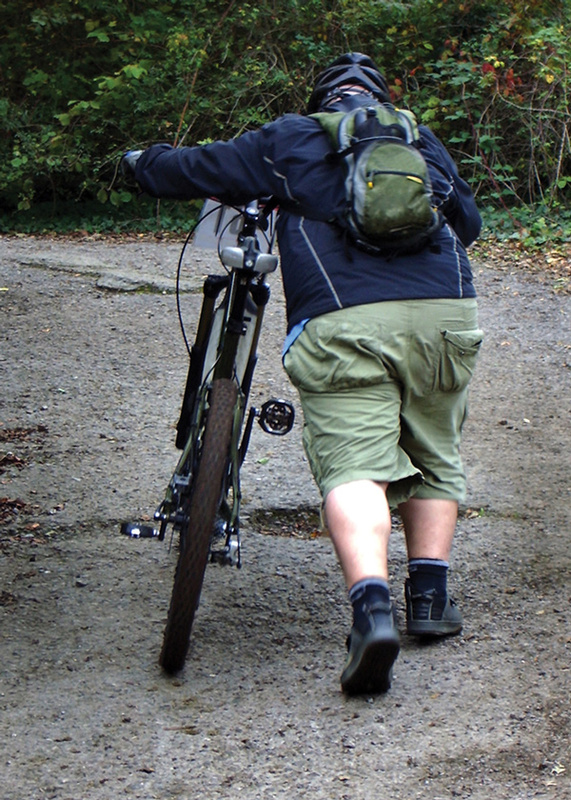 For some, carrying the extra weight may impact the knee cartilage, but it isn’t necessarily detrimental to the point of disease development. Paul DeVita, PhD, a professor in the Department of Kinesiology at East Carolina University in Greenville, NC, concurred. Sometimes the problem isn’t so much the extra load on the knee because of the weight itself, but how load is being exerted, and how other knee components respond. Patients with OA are most likely looking for a few things when they contemplate TKA: to alleviate the symptoms of OA, improve range of motion and activity level, and boost quality of life (QOL). Both weight loss intervention and TKA have been shown to help patients achieve those goals. Messier and colleagues (including DeVita) have conducted several trials that have shown success with the diet-and-exercise route. In the Intensive Diet and Exercise for Arthritis (IDEA),11 they tested the hypothesis that intensive weight loss (with or without exercise) would reduce inflammation and joint loads sufficiently to alter disease progression in overweight and obese (BMI, 27-40.5 kg/m2) older adults (55 years and older) with pain and radiographic knee OA. Almost 90% of the 450 participants completed the 18-month intervention, and the mean weight loss was 10.6 kg for the diet-plus-exercise group, 8.9 kg for the diet-only group, and 1.8 kg for the exercise-only group. After 18 months, peak knee compressive forces were significantly lower than baseline in all groups, and were significantly lower in diet-only participants than exercise-only participants. Also, the diet-plus-exercise group had less pain, better function, and better QOL scores than the two single-modality groups. Messier pointed out that, in effect, the diet-plus-exercise regimen decreased the load on the knees, but also strengthened the muscles around the knee. He also noted that in the exercise-only group, loads on the knees went up for the first six of 18 months, partly because participants developed a faster walking speed after weight loss and decreases in peak knee compressive forces. They reported that weight loss equal to 34% of initial body weight led to a reduction in maximum knee compressive force by 824 N at the controlled velocity, representing a 2:1 reduction in knee force relative to weight loss. But the unconstrained walking condition, which was more indicative of walking behavior than the standard velocity condition, led to a reduction in compressive knee force of just 392 N, resulting in an approximately 1:1 ratio of reduction in knee force relative to weight loss. 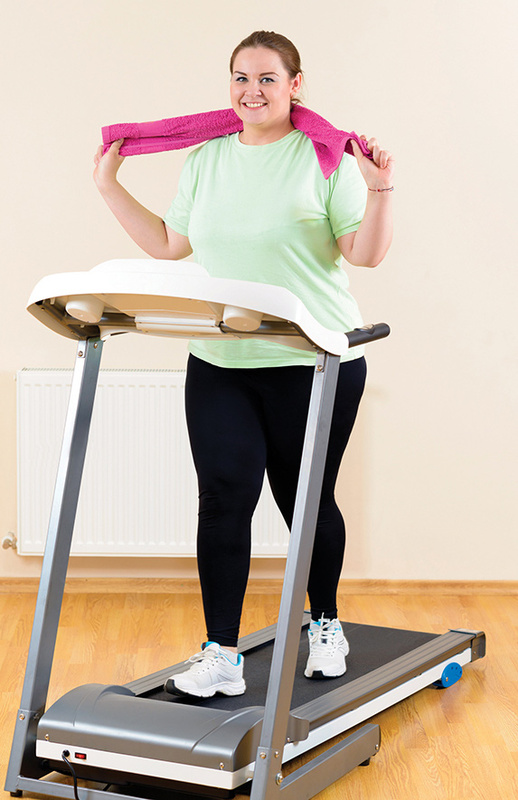 This may reflect gait changes associated with patients’ initial weight loss, including increases in stride length and knee flexion, which would increase load on the knee, DeVita said. They found the total operative time differed significantly between patients who had undergone TKA before bariatric surgery (183 minutes), within two years of bariatric surgery (191 minutes), or more than two years after bariatric surgery (144 minutes). The incidence of 90-day complications also differed among the three groups (21%, 4%, and 16%, respectively) but those differences were not statistically significant, and in all three groups the com­plication rate was significantly higher than the overall institutional complication rate. “Patients who undergo bariatric surgery and TKA experience increased rates of perioperative complications regardless of the temporal relationship between bariatric surgery and TKA,” the authors concluded. Parks agreed that there may not be such a thing as an “ideal” time for bariatric surgery patients to undergo TKA. He said that before discussing TKA with a postbariatric patient, he considers their overall health. After bariatric surgery, there is an adjustment in the baseline nutritional status,25 he noted, which can also be an issue. Despite high calorie consumption, obese patients are often deficient in important nutrients, such as antioxidants and fat-soluble vitamins. Bariatric surgery can result in additional nutritional deficiencies, or worsen pre-existing ones. Patients are often put on supplements to address these deficiencies. He added that he also needs to see that if comorbidites such as diabetes or heart disease are present, those are being medically managed. Finally, he explained, the way a patient experiences OA can be another marker for whether TKA is appropriate. Messier pointed out that results from the IDEA trial provided “convincing evidence that a 10% weight loss, combined with moderate exercise, results in a 50% reduction in pain in older adults with chronic knee OA,” in turn improving function and QOL.11 Since patients who undergo bariatric surgery are likely to lose more than 10% of their body weight, it’s possible that weight loss could improve their knee OA symptoms enough to delay TKA. But Messier agreed with Parks that a healthful lifestyle must be adopted and maintained. Given his group’s findings about gait adaptation after weight loss, DeVita suggested that performing TKA soon after bariatric surgery may not be the best route. The experts interviewed for this article expressed concern that postbariatric care often falls short in emphasizing the importance of exercise—not only to boost and maintain weight loss, but to potentially improve the health of the knees. White expressed concern that bariatric surgery patients may be considered automatic candidates for TKA to manage their knee OA, without their having first made attempts to manage their weight with diet, and seeing if that leads to improvements in their knee OA symptoms. After bariatric surgery, the majority of patients with knee OA aren’t given a prescription for exercise, let alone physical therapy or other nonsurgical modalities, he said. Ensuring that exercise is part of bariatric patients’ overall care continuum is key, he said. But White acknowledged that nonsurgical methods of symptom management may not work in all patients, including those who have experienced weight loss after a bariatric procedure. Wagner Moura Biography. IMBD website. http://www.imdb.com/name/nm0609944/bio?ref_=nm_ov_bio_sm. Accessed October 4, 2016. Narcos’ Actor Wagner Moura On Shedding The Weight Of Pablo Escobar. NPR Morning Edition.. http://www.npr.org/2016/09/02/492234846/narcos-actor-wagner-moura-on-shedding-the-weight-of-pablo-escobar. Aired September 2, 2016. Accessed October 4, 2016. Narcos’ Producer On The Drug War, Colombia And Escobar’s Son’s Grievances. NPR Fresh Air. http://www.npr.org/2016/09/22/494857817/narcos-producer-on-the-drug-war-colombia-and-escobars-sons-grievances. Aired September 22, 2016. Accessed October 4, 2016. Blagojevic M, Jinks C, Jeffery A, Jordan KP. Risk factors for onset of osteoarthritis of the knee in older adults: a systematic review and meta-analysis. Osteoarthritis Cartilage 2010;18(1):24-33. Estimate of Bariatric Surgery Numbers, 2011-2015, July 2016. American Society for Metabolic and Bariatric Surgery website https://asmbs.org/resources/estimate-of-bariatric-surgery-numbers. Accessed October 4, 2016. Messier SP, Gutekunst DJ, Davis C, et al. Weight loss reduces knee-joint loads in overweight and obese older adults with knee osteoarthritis. Arthritis Rheum 2005;52(7):2026-2032. Murphy L, Schwartz TA, Helmick CG, et al. Lifetime risk of symptomatic knee osteoarthritis. Arthritis Rheum 2008;59(9):1207-1213. Jordan JM, Helmick CG, Renner JB, et al. Prevalence of knee symptoms and radiographic and symptomatic knee osteoarthritis in African Americans and Caucasians: The Johnston County Osteoarthritis Project. J Rheumatol 2007;34(1):172-180. King LK, March L, Anandacoomarasamy A. Obesity & osteoarthritis. Indian J Med Res 2013;138(2):185-193. OrthoInfo: Arthritis of the knee. American Academy of Orthopaedic Surgery. http://orthoinfo.aaos.org/topic.cfm?topic=a00212. Accessed October 4, 2016. Messier SP, Mihalko SL, Legault C, et al. Effects of intensive diet and exercise on knee joint loads, inflammation, and clinical outcomes among overweight and obese adults with knee osteoarthritis: the IDEA randomized clinical trial. JAMA 2013;310(12):1263-1273. DeVita P, Rider P, Hortobágyi T. Reductions in knee joint forces with weight loss are attenuated by gait adaptations in class III obesity. Gait Posture 2016;45:25-30. McLawhorn AS, Southren D, Wang YC, et al. Cost effectiveness of bariatric surgery prior to total knee arthroplasty in the morbidly obese: A computer model-based evaluation. J Bone Joint Surg Am 2016;98(2):e6. Werner BC, Kurkis GM, Gwathmey FW, Browne JA. Bariatric surgery prior to total knee arthroplasty is associated with fewer postoperative complications. J Arthroplasty 2015;30(9 Suppl):81-85. Kulkami A, Jameson SS, James P, et al. Does bariatric surgery prior to lower limb joint replacement reduce complications? Surgeon 2011;9(1):18-21. Nickel BT, Klement MR, Penrose CT, et al. 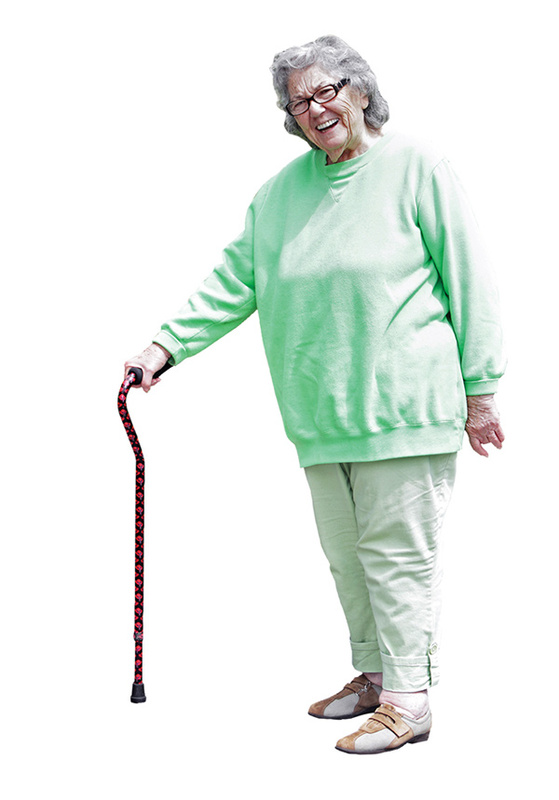 Lingering risk: Bariatric surgery before total knee arthroplasty. J Arthroplasty 2016;31(9 Suppl):207-211. Martin JR, Watts CD, Taunton MJ. Bariatric surgery does not improve outcomes in patients undergoing primary total knee arthroplasty. Bone Joint J 2015;97-B(11):1501-1505. Inacio MC, Paxton EW, Fisher D, et al. Bariatric surgery prior to total joint arthroplasty may not provide dramatic improvements in post-arthoplasty surgical outcomes. J Arthroplasty 2014;29(7):1359-1364. Severson EP, Singh JA, Browne JA, et al. Total knee arthroplasty in morbidly obese patients treated with bariatric surgery: a comparative study. J Arthroplasty 2012;27(9):1696-700. Xanthakos, SA. Nutritional deficiencies in obesity and after bariatric surgery. Pediatr Clin North Am 2009;56(5):1105-1121.